There are a lot of products out there that claim to get rid of candida. I have tried several in the past and came across a few that work remarkably well. That is how I know that Candida can be cured QUICKLY! You may have tried some products out there that are just not doing the job quick enough. That is why I will have reviews about different products and what results they can and can not have. This is a probiotic I have used now for 4 years. When my candida was really severe I found this product when I was researching candida. It helped me right away. I had so many symptoms, one of them was brain fog. When I first took this product, I felt the brain fog start going away. Of course all of it did not go away right then, but it helped immensely. And as I kept taking the probiotic, I was getting better and better. It helps with the immune system. 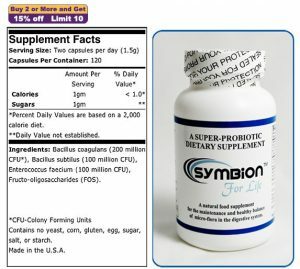 The website for symbion probiotics explains what is in it and what it does. I suggest for anyone suffering with candida to order this probiotic. If anyone has taken this, I would appreciate if you would leave comments of your results with this product. Please ask any questions that you may have. This probiotic works wonders. I started taking this probiotic a year and a half ago. I was doing a candida cleanse and this is the product I found for it. It worked so fast, that I continued to take it from then on. This profase-probiotic gets rid of Candida QUICKLY! The website explains what it is and what it does. 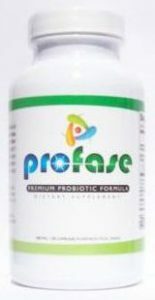 I suggest you order the Profase probiotic as soon as you can. Those of you who have found this product and has tried it, Please leave a comment of your result of this probiotic. This product is amazing. I have been taking it for 3 years now. 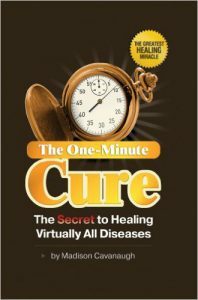 I read the book first, it is called The One Minute Cure- By Madison Cavanaugh. I suggest you read the book first. Amazon sells it. After you read it and you decide to order it. Go to the next link and order it. If you have any products that you have tried and want me to review them, Please feel free to let me know. Leave any comments below. Hello. Peazy. I am so sorry that I did not see your message till now. Read my first page on my website where I explain what had happened to me. I have been so busy. Yes I do have advice. As you will read on my website, I have used profase for a few years now. I highly recommend it! Using profase has quickly made the candida dissapear. Please start taking it. 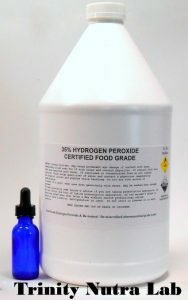 I also recommend the food grade hydrogen pyroxide. I will send you an email in case you do not see this reply. Hi. I’m in the second week of a candida cleanse and experienced die-off symptoms while on caprylic acid – until replacing it with SF722. I don’t many people that’ve taken Profase and Symbion appears to be the exact opposite of my most sites – discouraging the use of most commonly used herbal anti-fungals. I’ve taken antibiotics for several years and my biggest discomfort is recurrent genital yeast infection or skin rashes that have gotten more resistant. My breath isn’t the best, tongue is coated sporadically, and I really need some direction or assistance. Sugar cravings have lessened since I’ve started the cleanse but need to use the safest, most reliable probiotic on the market – which is hard because everybody claims to have the answer! I have Profase but have held off yet because of not finding anyone on the internet that’s used it – outside of the product’s web site. Yes Dancinscot, There are alot of things that need to be discussed about this condition. There are so many symptoms and problems associated with it. The more info available for this condition the better! It is a tricky one indeed! Thank you James. More people need to know. Great website and very good onformation. I did not know anything about this.